I’m Justine Wall of Hector & Haddock, and I work from my studio on Salisbury Plain, where I create pieces inspired by, and often incorporating, paper ephemera and traditional printing methods. 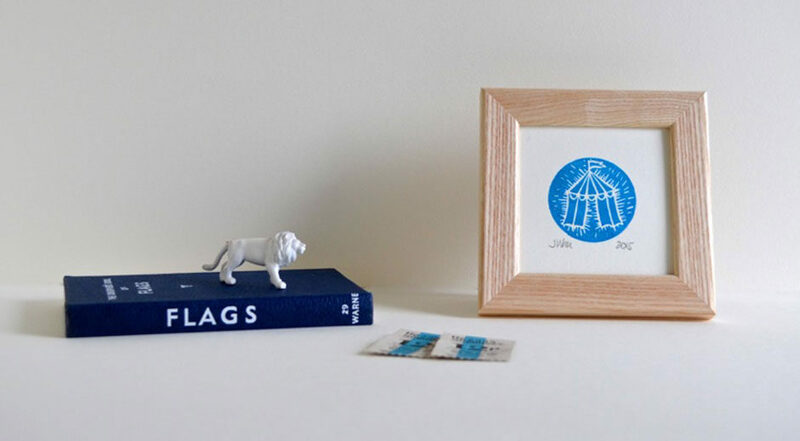 Everything I make is either hand-cut from original vintage paper or, in the case of my screen prints, linocuts and cards, inspired by the thousands of vintage texts I collect. The smallest thing can inspire a piece, whether it’s 1970s recipe book images, to the typeface on a Borax box, I take inspiration from the past and design pieces which I feel honour the graphic simplicity of times gone by. 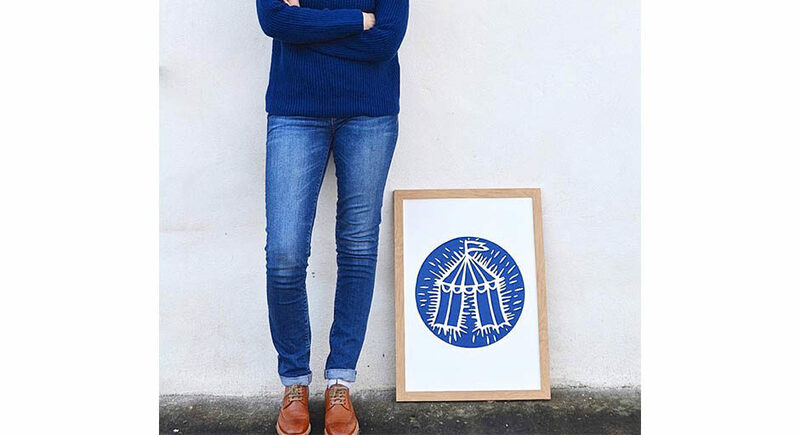 I purposely retain a handmade feel to everything – even though the linocut designs go through a digital process to enlarge them for my screen prints, I want there to be imperfections- a reminder that the design was cut by hand. I do not make copies of any of my paper cut pieces: each is a one-off. Even the screen prints are limited edition, so are finite, and the linocut designs change frequently. I design what inspires me at the time, and what makes me happy. 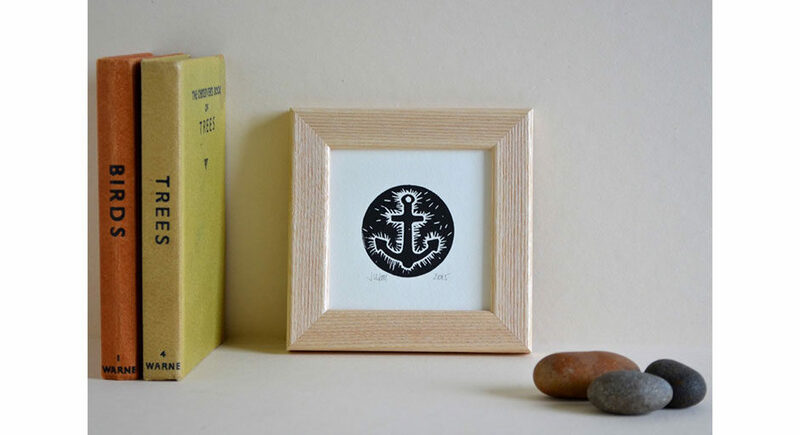 Screen prints, tea towels, linocuts, pin badges and stamped gift tags, all featuring motif-based designs from Anchors to Jam Jars. Cards inspired by typography & Vintage paper. Handcut paper pieces, from gift tags, to paper phrase pictures hand cut from vintage maps, sheet music, comic books and other paper. Christmas themed pieces also available. Prices from £1 for pin badges to £150 for paper phrase pictures. I sell all of my pieces through my website, www.hectorandhaddock.com and can be contacted on info@hectorandhaddock.co.uk. I will be in 22B Iliffe Yard at Pullens Yards Open Studios in December.